First up is a short-term trend play on AUD/USD. 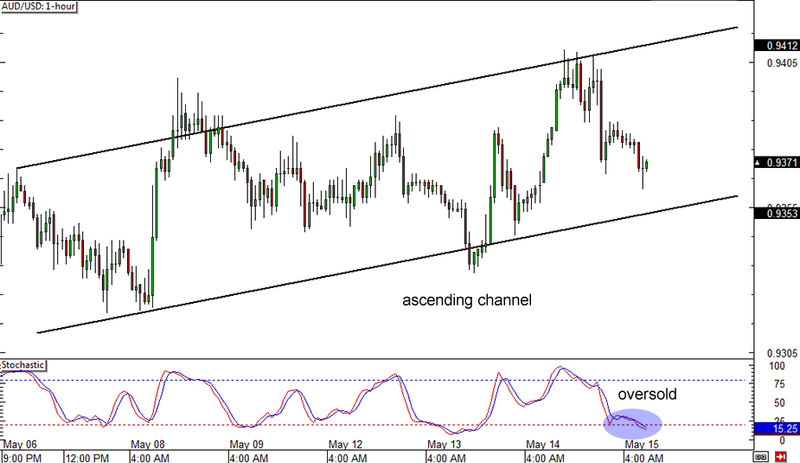 On its 1-hour forex time frame, the pair appears to be trading inside an ascending channel, as parallel trend lines can be drawn to connect the recent highs and lows. Stochastic is almost in the oversold zone, indicating that Aussie bears might be feeling exhausted. A bounce from the channel support around the .9350 minor psychological level could lead to a rally back above the .9400 area, but a strong downside break could mean more losses for the pair. 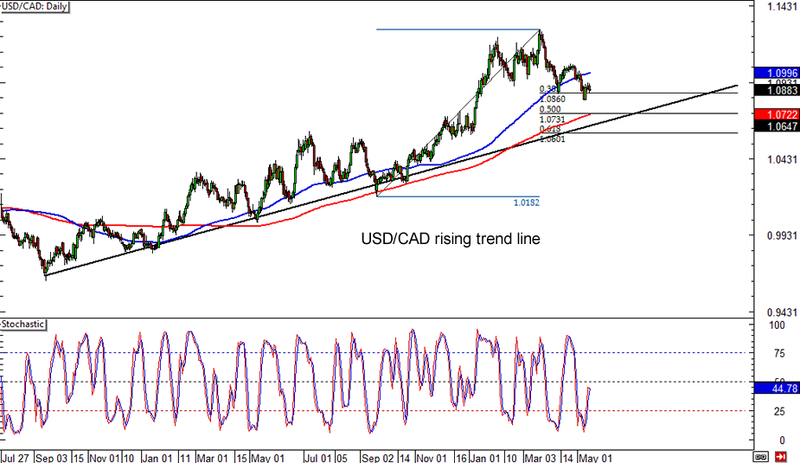 If you’d rather take longer-term trend setups, then you should consider this uptrend situation on USD/CAD. A rising trend line can be drawn to connect the lows of the price on the pair’s daily forex chart, and it appears that another test is bound to happen sooner or later. The trend line is in line with the 200 SMA and the 1.0600 major psychological support, which also happens to be the 61.8% Fib retracement and a former resistance area. I’d keep my eyes glued to that level if I were you! 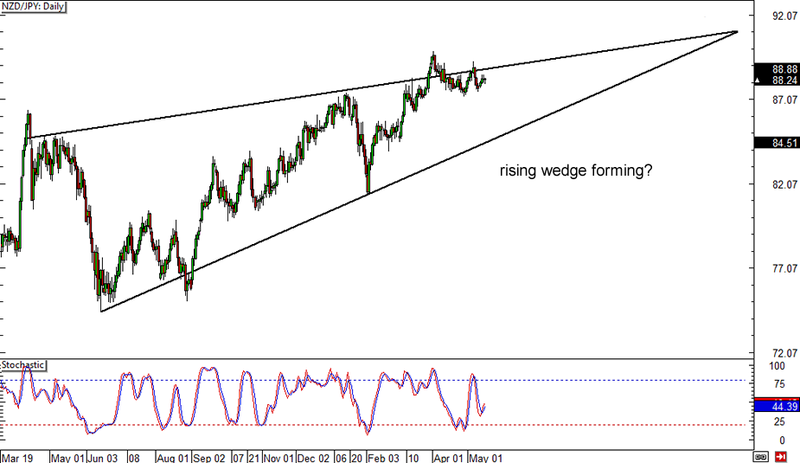 Brave enough for a countertrend trade? Check out this one on NZD/JPY’s daily forex time frame! The pair has been moving inside a rising wedge for quite some time already and it appears that price is testing the resistance right now. Stochastic is just making its way towards the oversold area, which means that there’s a bit of selling pressure left. A selloff might last until the bottom of the wedge around the 84.50 minor psychological support, but I wouldn’t leave out the possibility of an upside break!